We’ve been to a Disney park for the last three years. I don’t think it’s happening this year. But, that doesn’t mean we can’t appreciate our previous trips and the memories. This past week we were sent the new Blu-Ray/DVD release of Snow White and the Seven Dwarfs to watch (it releases again on February 2, 2016). None of my girls had seen the movie yet, in fact, I didn’t recall the last time I saw it and neither did Mr. Serious. So we had an early dinner and had a movie night at home. Forever enchanting and inspiring, Snow White And The Seven Dwarfs embodies The Walt Disney Signature Collection’s legacy of animation. In this epic story of love and friendship, the kind and beautiful princess Snow White wins the hearts of the Seven Dwarfs and triumphs over the evil plans of a wicked Queen. Share the movie called “The Greatest Animated Film Of All Time,” (American Film Institute) on Blu-ray February 2nd and on Digital HD January 19th, with special features for the entire family! Despite the look of terror on her face in this picture, she loved the ride. We were able to ride it several more times throughout our week there. 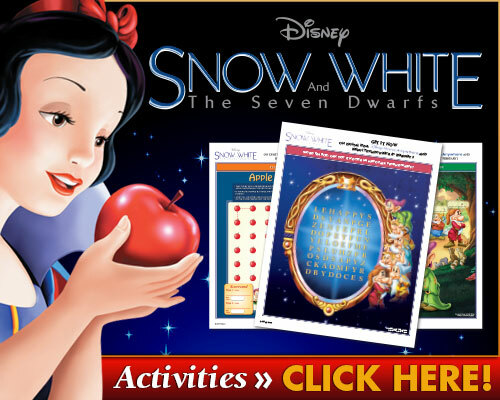 Disney has put together some great Snow White and The Seven Dwarfs Activities and Printables that you can grab and print off at home in honor of the re-release. What memories to Disney movies bring back for you?